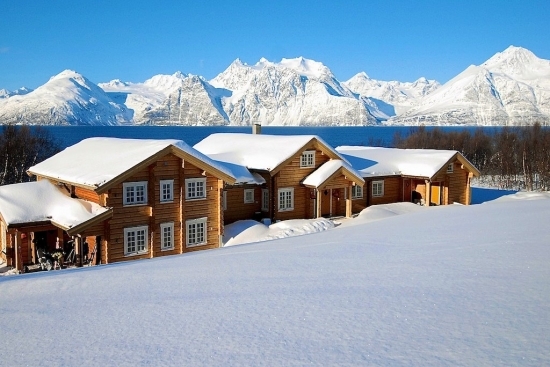 Enjoy a luxury winter holiday at Lyngen Lodge. This dramatic fjordside location in the Lyngen Alps is a perfect spot to view the Northern Lights by night and enjoy some adventurous activities by day. When you’re not stimulating the senses outdoors, sit back and relax in the luxurious mountain lodge where your every whim will be answered. 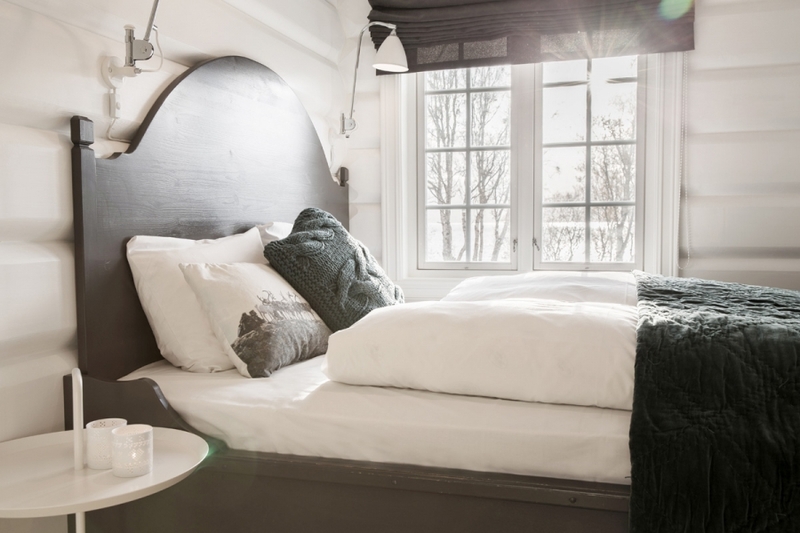 This small scale accommodation at Lyngen Lodge near to the city of Tromsø offers spectacular views, warm hospitality and modern, fresh interiors. The package combines searching for the Northern Lights with the highest standard of lodge accommodation that Northern Norway can offer. Perfect for small groups, couples and honeymoon couples. There are set arrival and departure dates for this trip, please get in touch to find out availability for your preferred travel dates. Your holiday in Arctic Norway begins in Tromso. The shared transfer to Lyngen Lodge departs from the airport in the mid afternoon, so you'll need to arrive before that time. 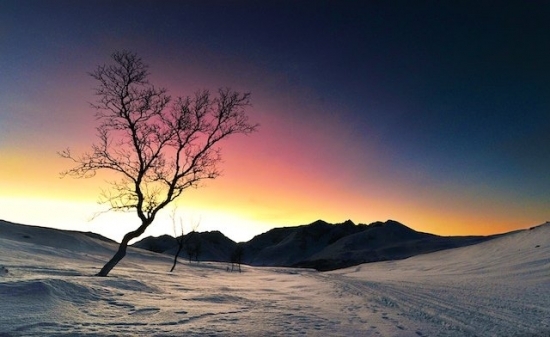 We'd recommend adding a night or two in Tromso at the beginning of your holiday for a relaxing start to your trip. We can recommend and book your hotel in the city and arrange restaurant bookings as well as Northern Lights excursions. You’ll be met at Tromso Airport or the city centre by your hosts from Lyngen Lodge and transferred to the remote Lyngen Alps – a memorable journey of between 2 and 3 hours. You’ll settle into the lodge before sitting down to dinner in the evening. Enjoy a delicious three course meal followed by your first chance to spot the Northern Lights in this dark skied region. In the evening, you'll be invited to the library to enjoy a Northern Lights presentation and opportunity to pick up some photography tips. There'll be plenty of places to view the lights around the lodge and extra warm clothing to borrow if needed. There'll also be time to relax in the outdoor hot tub and sauna - a perfect place to admire the night sky, and with luck, the magical Aurora Borealis. 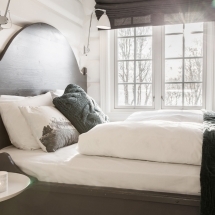 High above the Arctic Circle of Northern Norway, Lyngen Lodge is located in secluded woodland above the Lyngen Fjord amongst dramatic and spectacular coastal scenery. 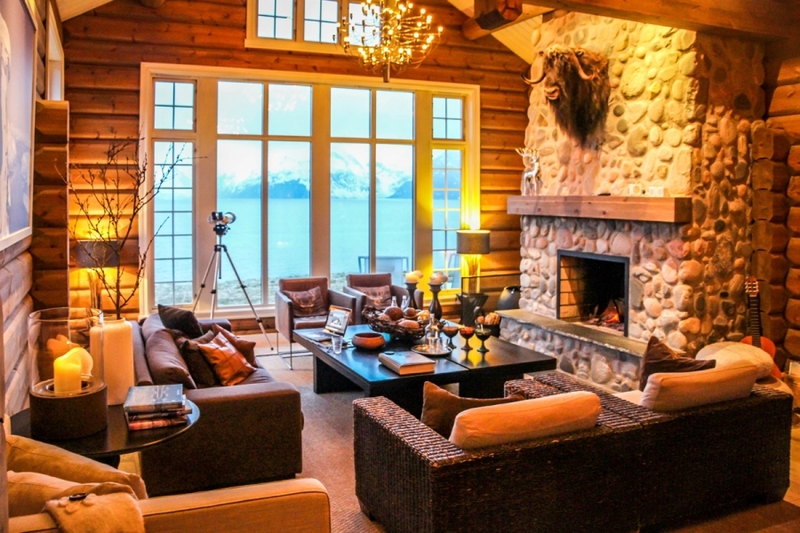 The Lodge is traditionally constructed from Norwegian “lafting” pine timber and panoramic windows provide views over the spectacular Lyngen Alps, while a large open fireplace creates a relaxed and welcoming atmosphere. Dinner is served in the dining room where the chef uses local produce to create delicious dishes with a focus on Norwegian coastal culture. The Lodge also has a well stocked bar, lounge, small library, sauna and outdoor hot tub. Don’t forget to bring your swimwear and a good book! 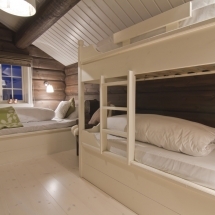 The Lodge’s eight rooms can accommodate guests in single, twin/double or triple occupancy rooms over two floors. 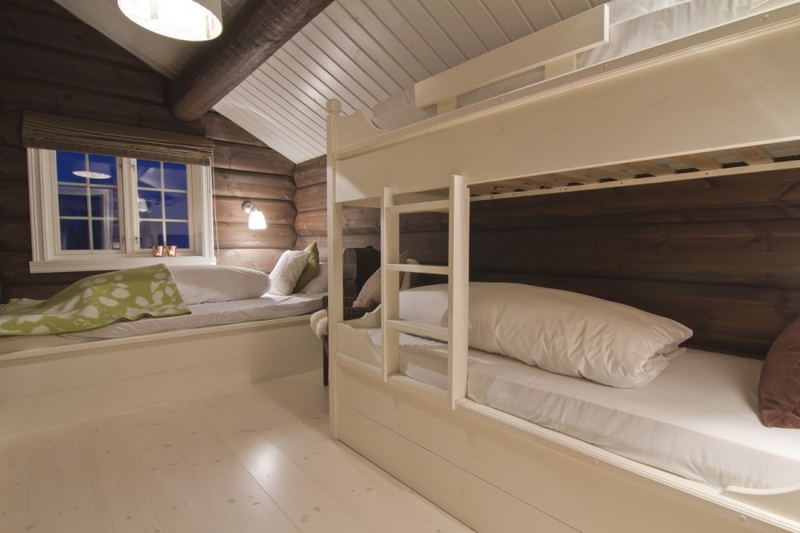 Half of the lodge's rooms have mountain views, while the other half have fjord views. All rooms feature en suite bathrooms, stocked with toiletries and bathrobes. After a blissful night’s sleep, today is your chance to enjoy the mountains around the lodge. Enjoy a hearty Lyngen breakfast before spending the day with husky dogs, sledding in the Reisa Valley. You’ll drive your own team of dogs between jagged peaks and deep valleys. Mid-way round the trail, a wilderness lunch will be served round the open fire inside teppee tents. You'll share a sled with the chance to switch places en route. 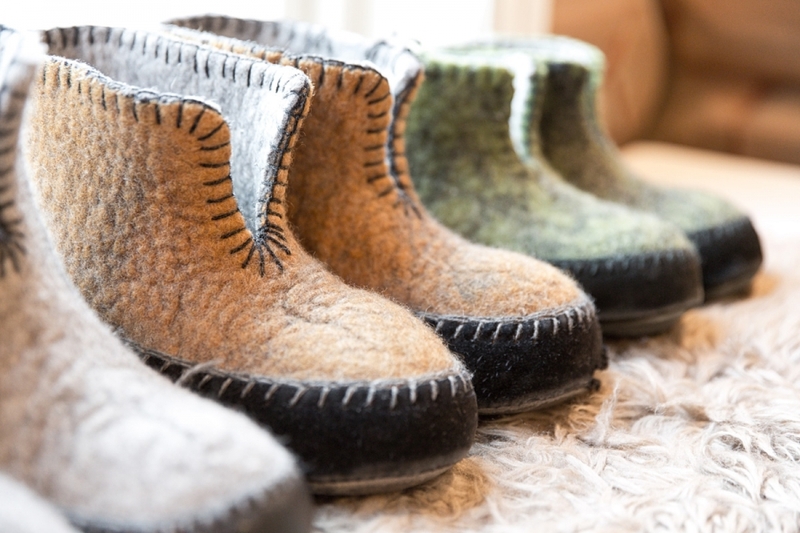 When you return to Lyngen Lodge in the afternoon, hot drinks and home-baked cakes will be waiting for you. This is a highlight of the day at the lodge when you have the chance to relax and recount your day's adventures, whilst enjoying something delicious and taking in those amazing views. 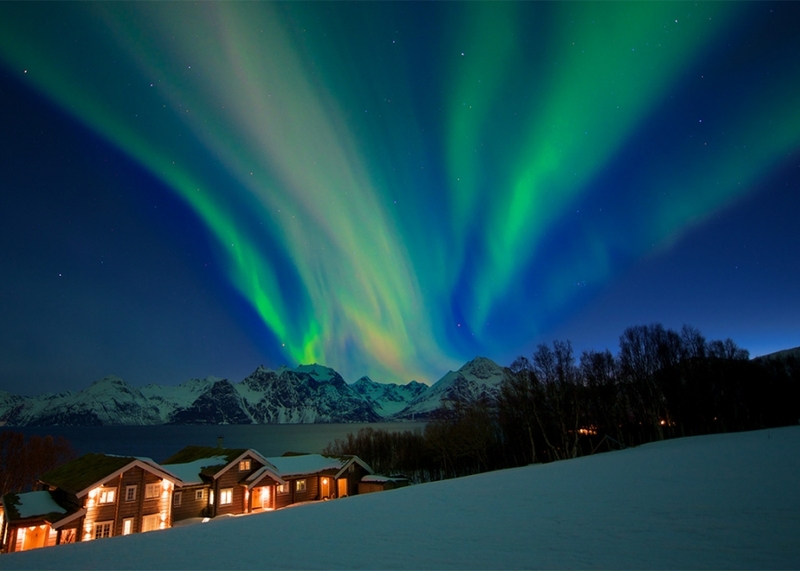 In the evening, dinner will be served followed by another chance to witness the Northern Lights. Today's Arctic adventure will be by snow mobile to high mountain terrain. After being kitted out in warm gear, the tour begins with a 30 minute drive through snow covered birch tree forests. 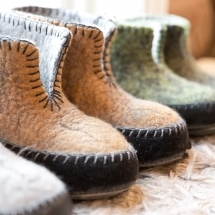 You'll be passengers in the snow mobile sleigh to the mountain plateau and frozen lake. Here a shelter camp will be set up and you'll have the chance to try ice fishing through the ice. The ice is so thick that it is possible to make a fire on the ice and cook the fresh fish directly at the camp. During the ice-fishing, you'll have the chance to drive the snow mobiles in the surrounding area on the mountain plateau before returning to the lodge in the afternoon. Warm up with a cup of tea or coffee, or something stronger if you prefer before enjoying some time to relax before dinner. 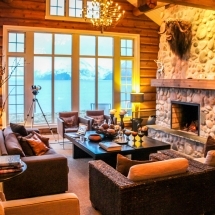 Today will be your final morning at Lyngen Lodge. The transfer to Tromso Airport or city will depart after a leisurely breakfast and arrive to Tromso Airport at around lunchtime. 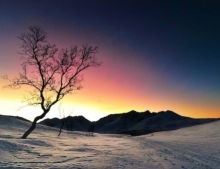 Directly from the lodge, snow shoeing enables all guests to access the Arctic forests, see rare animal tracks of moose, lynx and wolverine and reach high view points to admire the entire Lyngen Peninsula national park from above the forest line. After learning some simple techniques, your guide will lead you on a cultural journey through the wilderness that provides deeper appreciation of this spectacular region. Enjoy Nordic skiing on machine groomed trails through the valleys and forests of Djupvik, Rotsund or Storslett. Your guide will teach you some techniques to help you learn the basics of Nordic skiing. Norwegian culture is spilt equally between the land and the sea, and on board the Spirit of Lyngen boat you will experience a wide diversity of fjord life. The journey begins with dolphin and whale spotting along the nature reserve at Spakenes en route to the island of Uloya where you'll learn about the historic stockfish drying process. You'll then venture over by boat to the Lyngen Alps east coast to visit the ice cave and the sheer towering rock walls that plunge into the ocean. Europe’s largest eagle the Havn Ørn is regularly seen hunting for fish. If conditions are good, you may have a chance to try deep sea fishing for those who wish to. Please note: there is a supplementary cost to join the Sea Safari tour. Very warm welcome and staff at Lyngen were great throughout the stay. Food excellent. Location brilliant. Dog sledging fantastic. by Lynda Chalcraft, Oxford on Mar 11 . We had a fantastic trip with Magnetic north Travel experiencing the true beauty of Norway in the Lofoten Islands and Lyngen Alps. The service provided has been exceptional and 24 hour concierge service a god sent after the Hurtigruten coastal steamer did not show up at Svolvaer. Thankfully, the MNT team helped us to ensure quick resolution and keep our itinerary on schedule, allowing us to spend 3 of the most fantatsic days at the Lyngen Lodge. Two remarkable locations and we will definitely be returning in the future. Thank you Magnetic North Travel. by Pete Fowkes, Banbury on Feb 28 . I just wanted to say a big thank you for all your support in arranging the trip to Norway, we both had a great time and i'm happy to say the proposal went really well! 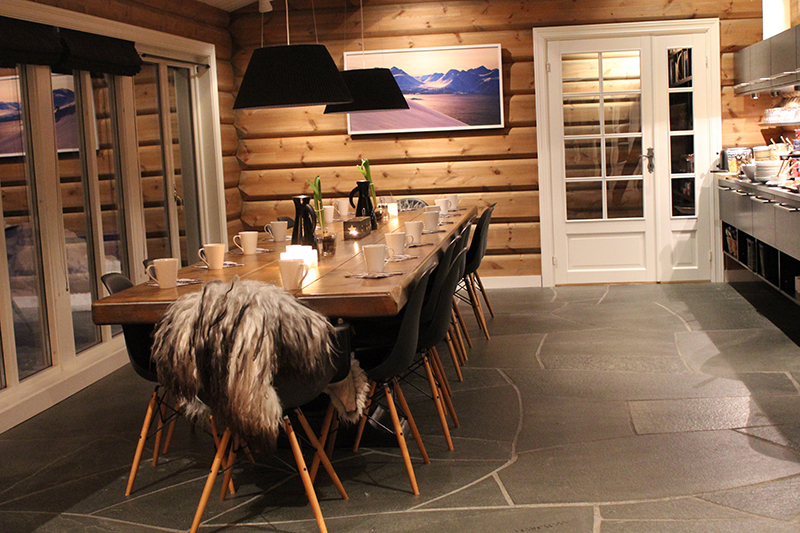 The Lyngen Lodge team pulled out all the stops and really made it a special occasion that we will never forget. The scenery and location were amazing, plus we were lucky enough to see the northern lights. 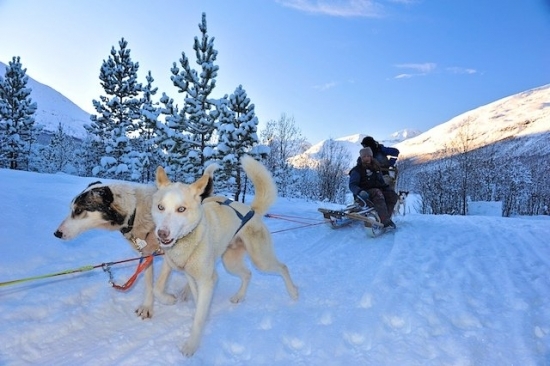 by Cian Radford, Birmingham on Jan 04 .
by Andy Bills, Tromso and Lyngen Lodge on Jan 22 . This was a highly memorable and enjoyable break. 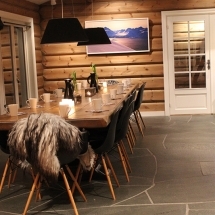 Lyngen Lodge is the perfect place to stay; situated in a beautiful location, luxurious, cosy and comfortable; manangement and staff could not have treated us better - every need is catered for and activities tailored to individual guests requests. The knowledge and experience of our guides made each of the excursions all the more interesting and enjoyable. Food and hospitality cannot be faulted. 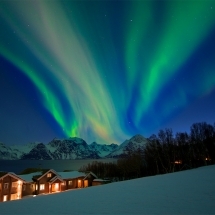 We would not hesitate to recommend Lyngen Lodge and the Northern Lights short break. We definitely intend to go back again. by Susan McGahan, Chelmsford, Essex on Dec 02 . This was a perfect holiday. I have also written this up on Trip Adviser and given a five-star rating. 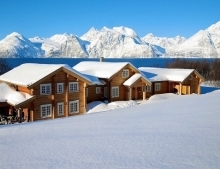 Lyngen Lodge management clearly understand the concept of fantastic customer care, and have a team who know ho to deliver it. I had high hopes, and even higher expectations of the holiday and these were both exceeded. Well done as well to Laura of Magnetic North for getting the arrangements rights for my family and I at virtually no notice - great job. The 'kit list' you provided with the itinerary was also invaluable. by Mike Bruce, Rickmansworth on Nov 24 .